Looks can be deceiving; my favorite monsters are scary looking, but innately good. Just like these monsterized eggs, which have been turned green and frightening looking, but are completely delicious. They are also monstrously easy to make. Spread the pesto, with a spatula, in the middle of a large nonstick pan over medium heat. Crack the eggs directly on top of the pesto. Cook until set, just like when you cook a regular (non-monsterized) fried egg, about 3-5 minutes. Flip, top with the parmesan, and cook for another minute or so, until the cheese is melted and the inside of the yolk is the way you want them - a bit runny or hard. Transfer to a plate and serve immediately, preferably with bacon and coffee. 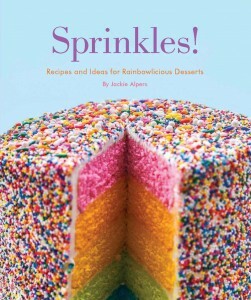 Next post: How to Cover Easter Eggs in Sprinkles!